Tied with a Ribbon: Sew Along Success! Wow - we have had such a wonderful response and start to the Sew Along Classes together with Claire Turpin Design ! It has been great getting into the "classroom" teaching and meeting lots of fellow sewers, stitchers and crafters. At our Sew Along Social there was a big mix of different projects on the go. There was sewing, crochet, hand stitching, dressmaking, applique and lots of other projects getting worked on and completed. It was wonderful to meet so many different faces and with the next Social happening on June 7th it is exciting to see what projects will be out on that night. These classes have been devised with a real focus on skills. 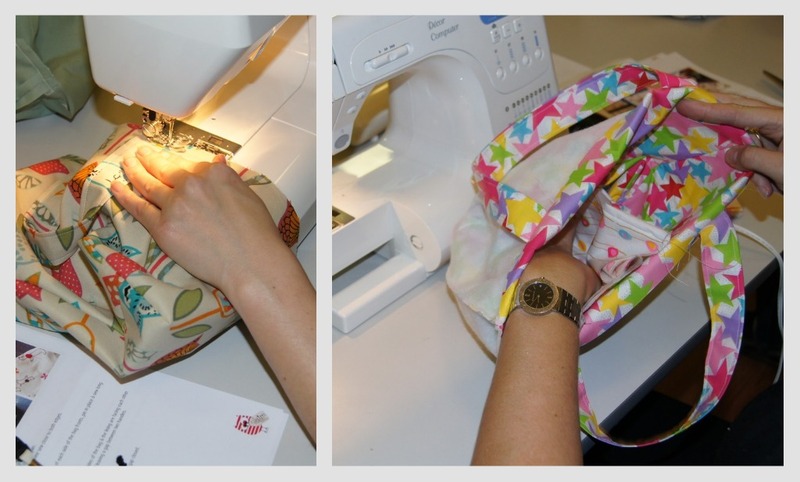 Skills like pattern reading, cutting using rotary cutters, tools used to mark patterns with and sewing techniques all aimed at having a professionally finished item and in this case a Handbag Tote at the end. 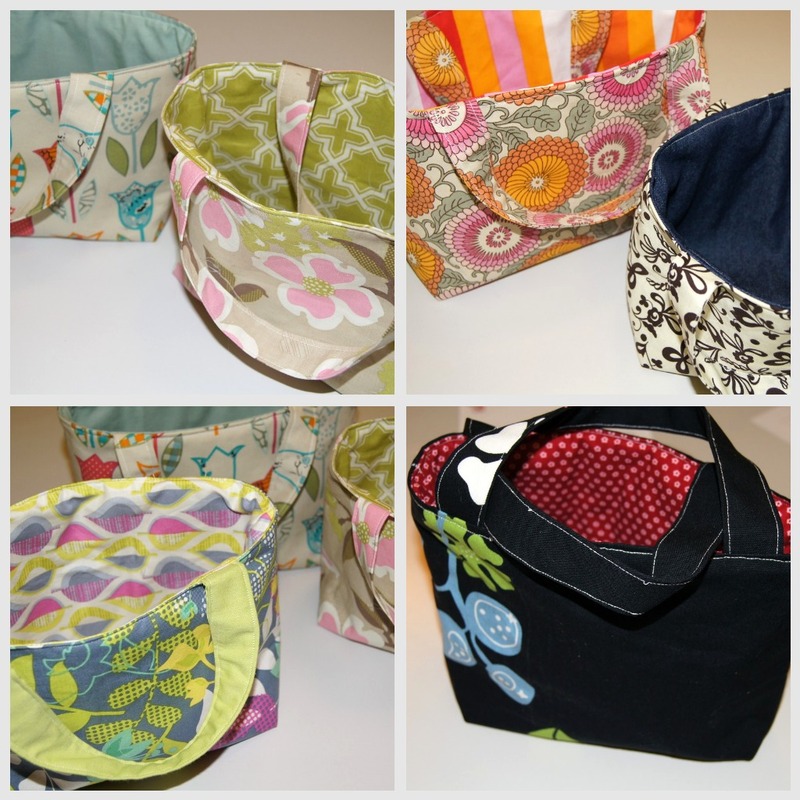 These ones below are some of the finished bags. Don't they look fabulous. There is an embellishment still to go on these bags but that is coming up! It was great to see faces filled with delight at their accomplished sewing as well as new friendships being formed along the way. Looking forward to next week - we are making a Cafe Apron. So no matter what skill level you have if you are interested in joining us at one of our Sew Along Social nights or Sew Along classes you can check out the details in the Workshop page on the blog.